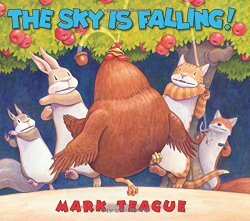 ﻿ Sonderbooks Book Review of The Sky Is Falling! Review posted August 28, 2015. “I don’t think so,” said Squirrel. “But why aren’t you dancing?” asked Chicken Little.